A new analysis has found that gruesome photographs displayed on cigarette packages are more effective than anti-smoking messages in preventing smoking. 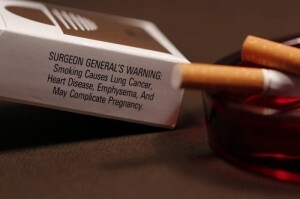 Researchers based at the University of North Carolina at Chapel Hill reviewed studies from 16 different countries published between 2000 and 2013, which all compared text warnings to more graphic warnings. The results of the comparison found that the photos elicited a stronger emotional reaction, commanded more attention, brought up a more negative attitude and made it more likely that smokers would promise to quit. Over 37 experiments were analysed, involving over 33,000 people, and also showed that images can also lower a smoker’s cravings, increased aversions to cigarettes and caused them to think more about the negative effects of smoking. Currently, only 30 countries, accounting for 14% of the world’s population, legally require warning images on the front and back of cigarette packages, together with warning messages in the local language, according to the World Health Organisation. With the results of this study, however, more countries may be encouraged to rethink how cigarettes are packaged, in order to encourage more people to give up smoking. If you’re somebody who has been encouraged to give up smoking thanks to the warnings on cigarette packaging, why not try switching to e-cigarettes? With e-cigarettes you are able to gradually reduce your nicotine intake and they also contain less of the harmful chemicals found in regular cigarettes. Visit our website to find out more and get your hands on an e-cigarette starter kit today!